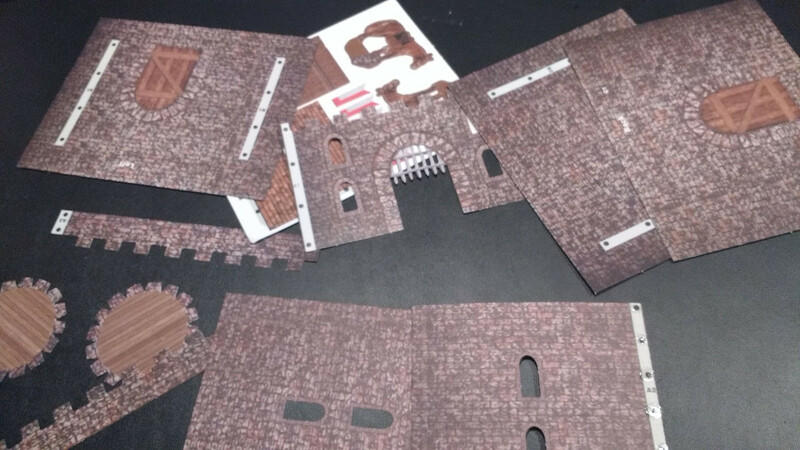 HomeMiniature HobbyScene-A-Rama – Is It Good for Wargaming? 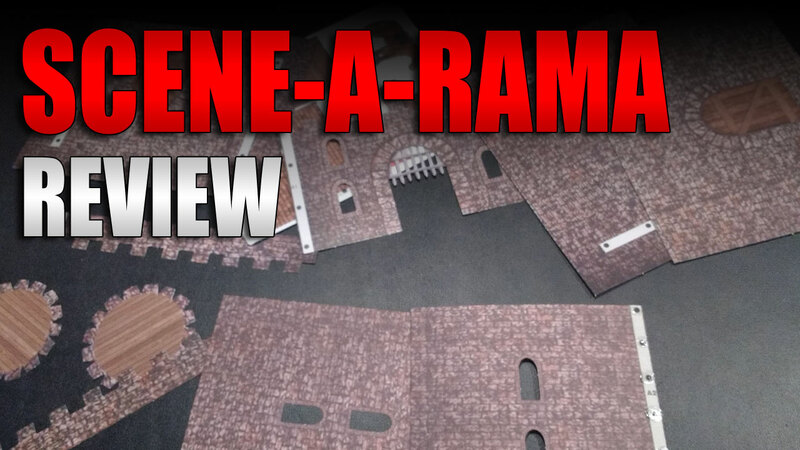 Scene-A-Rama – Is It Good for Wargaming? 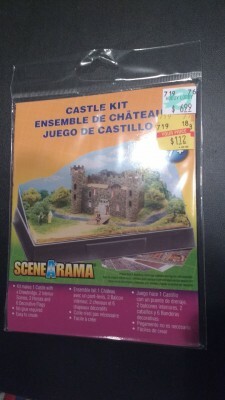 My wife was at Hobby Lobby the other day and noticed these Scene-A-Rama buildings on clearance. 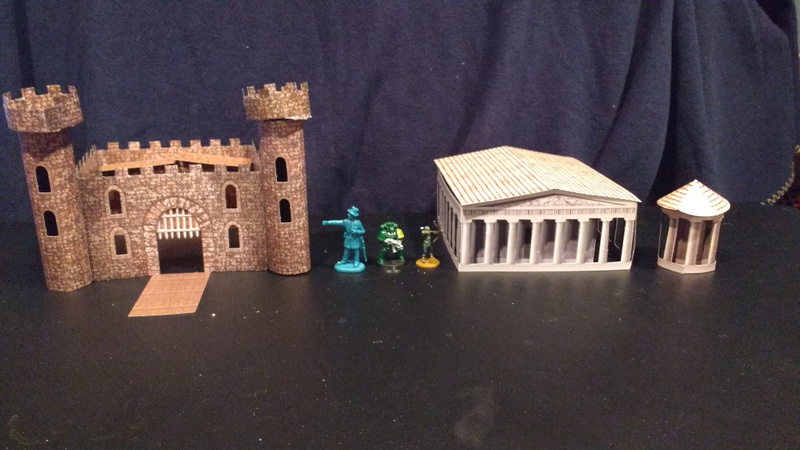 Knowing about my pervasive wargaming hobby, she snagged a few of them for a whopping $1.12 apiece, including a volcano, medieval castle, and Greek temple. With a forty percent discount on one of the items I got all three for about $2.75. The items came in a slim plastic bag. All the walls and items come on punch-paper and is easy enough to remove. In addition, you get these two-way sticky dots that hold the pieces in place. The instructions are on back of the display card and are short but straight-forward. To put the Scene-A-Rama items together you just peel a sticky-dot from the paper, press the dot on the corresponding dot on the wall/piece, remove the top plastic strip, and press the two walls/pieces together. Easy-peasy. There is no gluing or taping involved. Each item only took an hour to put together and came with some “extras.” The castle came with some 2D paper horses, and the temple came with another gazebo piece. I did mess up on the castle, though. The back should be wider and the shades coming down from back shouldn’t be touching. Oh well. The temple also came with a number of 2D greek columns with text boxes that said what type of a column it was. Who knew that there were different types of columns? I didn’t. The Scene-A-Rama stuff looks pretty good for what it is. I can only tell they’re paper when I get really close, like six inches or so. Scale-wise they tend to look better on the small side. The buildings look great with 15mm (this is an assumption since I don’t have any real 15mm minis), OK with 20mm, and a bit large for 28mm. Anything bigger, say 30mm plus, and they start to look like a carnival funhouse. The picture has a 20mm, 28mm, and a 54mm for comparison. Fun trick with these Scene-A-Rama paper buildings: take a black permanent pen, like a Sharpie, and go along all the white edges. The black helps hide the edges. Being made of flimsy cardboard, they are hard to store and their durability is questionable. You can’t really fold them down without destroying them. You also can’t put anything on top of them or let anything push against them, or they will get crushed. And don’t even think of exposing them to any liquid, unless you want a pile of colored mush. I was lucky in that I was able to get them so cheap. 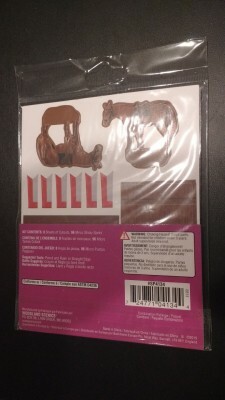 The company website (https://scenearama.woodlandscenics.com/show/category/ThemeKits) is asking $6.99 apiece. Although they look great, I wouldn’t pay that much. Personally I would rather spend the same amount on something unpainted and made of a more durable material. To be fair, the Scene-A-Rama stuff isn’t really meant for our beloved hobby. Their main purpose is for dioramas and science fairs that are usually temporary. For that they do excel. If you’re looking for some decent buildings quick and don’t care too much about long term storage then this is right for you. Otherwise for wargaming I’d pass unless you can get them at a discount. Overall these look good if you don’t mind something that’s not really durable and is difficult to store. There are some of us who love building scenery, producing lovingly crafted, realistic looking hills and buildings to scale. Putting endless hours into the smallest detail, pouring resin to use as lakes, individually crafting tiles to stick on roofs. And then there are the normal people who just want some buildings to put on the table to make the games more interesting. I think this type of scenery is a great way to get a table up and running quickly. The limitations of the scale would be the one major decision in the purchase. Yeah, I think these would be great filler pieces to help flesh a table out. I agree. 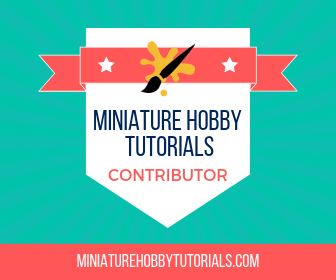 Since they are so simple and quick to put together, they can also appeal to new comers to the hobby or something fun to do with children. My pre-school age sons sat with me and we had a good time talking about games and scenery.